Nowadays, everyone takes photos and it’s become a lucrative way to make money. Most women photographers I have talked to fall into the photography by accident and don’t really have a plan for what they are going to charge, how they are going to get customers, how much money it is going to take to start and when they can start taking a salary. Photography is one of the most popular business at present. It’s not enough to have passion for photography or whatever it is you love; you also need business acumen to make it. Professional photography is very competitive, but there are a number of steps you can take to stand out in a crowded market. There are many factors that need to be considered to make your business successful. In this interview, photographer, Tarrny Storme, shares her experience of running her own business, how she markets herself, and also provides some amazing on how to become successful in the field. Tell us about yourself and how you got started in photography? My name is Tarryn Storme. I love travel and got to a point where cellphone pictures weren’t cutting it for me. So I invested in a Nikon. Went on a course with an international photographer and decided I needed to switch careers. I did a few more courses with photographers whose work I admired. I did not want to study formally and be made to follow too many rules and technical aspects. Boudoir photography was something I had previously wanted to do for myself and could not find a photographer (It wasn’t quite mainstream in SA yet). 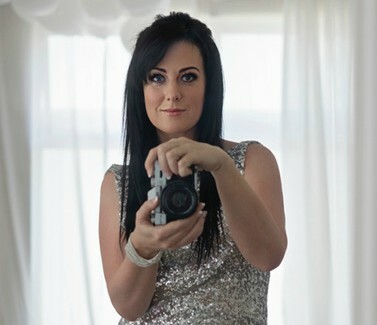 And so I took it on as a challenge - wanting to empower women through boudoir photography. How long did it take you to become established as a photographer to the point where it was your full time occupation? It took me 6 months to be able to work as a photographer full time. As our business fluctuates - I do however recommend that someone starting out has 6 months of expenses covered before going full time so they can compensate if they have quiet months. What are the biggest challenges you face with being a photographer? Trying to convince the general public the value of photography and the importance of print. Cell phones have good quality little cameras built in and so people forget and simply presume photography is about point and click. Photography has always been a luxury item and it is still is. A good photographer will make the experience of a photo shoot fun and memorable, the photographers job is to worry about lighting and correcting your posing or simply capturing moments between your family. It allows mom to be in the photo instead of being the one taking the photo. At the end of the day, when parents pass away, kids want photos of their parents with them, not photos of themselves. Photographers charge a fair amount because of the equipment, programmes, and constant courses we are going on to ensure we take the best possible photo for you. Do you have a method for gaining new clients? Constant advertising on social media and hoping Facebook hasn’t decided to change the algorithm again this week as well as word of mouth from happy past clients referring their family and friends. How do you make money through photography? I charge for my time and skill. My cost of doing business has been worked out correctly. How much can you make for a gig? I don’t offer gigs or corporate or wedding so my rate card is different as my clients are the general public doing family, baby, maternity or boudoir photo sessions. What are your typical rates per client, how many hours per week do you work, how much monthly income are you bringing in? My typical rates are R1000 and R1500. I keep it affordable as work with a mid to high volume. Work hours vary on my work load / amount of clients for the week which get loaded onto admin, marketing etc. I work an average of 50-70hrs a week. I have one day off which is a Monday. Monthly income is never stable. Quietest months R5000, busy months R30 000 after business expenses. What is the best advice you would give to women who want to earn a living as photographers? Work out your cost of doing business first. This will enable you to determine your price point correctly. Invest in yourself. This means you are constantly taking courses and workshops to improve your skill. Good courses and workshops aren’t cheap. If you are wanting to be a newborn photographer please ensure you have done your first aid certificates, that you have worked with babies and studied posing well enough to ensure the babies safety at all times. You will quite literally have a little life in your hands. You can get in touch with Tarryn via email, Facebook, Instagram and website. This industry offers many prospects to the people who want to make a living from it. If you’re thinking of starting the photography business, keep in mind that photography also has ups and downs. But if you’re committed and work towards providing a great experience to your customers, you’ll get a good recognition as a professional photographer.